Home Bicol Bicol News Camarines Sur Libmanan News Bicol bemedaled cop removed from rolls? 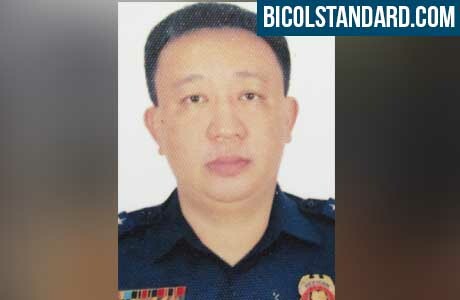 Bicol bemedaled cop removed from rolls? NAGA CITY—Whatever happened to Roger Dy, Jr., the bemedalled Bicolano police officer who hails from Libmanan, Camarines Sur remained a mystery, until today. In an interview, Roger Dy Jr., who now claims the rank of Police Director General (PDG), said he earned his rank via Special Promotions after he was awarded at least 20 Medals of Valor. Official police records, however, show that he (Dy, Jr.) has been dismissed from service due to Serious Neglect of Duty, based on an order dated May 6, 2016. Even before the said order of dismissal his salary had been withheld starting December 2014. At present, his name has been dropped from the rolls of the Philippine National Police. Regarding said dismissal order, he told the BICOL STANDARD that he has a pending motion for reconsideration. The controversy started when Dy Jr., was designated as Regional Director of Region VIII, where he did not abide. Dy Jr., said his dismissal was prompted when he failed to report to Region VIII, when he was designated as the PNP Regional Director of the said place. He said that the position for he is assigned, which is Regional Director is for officers with a rank of Chief Superintendent. Hence, he is overqualified, pursuant to PNP standards. “I now have the rank of Police Director General. If there was such an order for me to assume as PNP Regional Director, the same would no longer be applicable to me because of the present rank that I have,” he said. Further, Dy Jr., narrated that the basis for the claim that his rank is Police Director General is a letter that then DILG Sec. Jesse Robredo sent to him. The said letter, he said, was issued pursuant to Sec. 33 (b) of Republic Act 8551 on Special promotions for recipients of Medals of Valor, like himself, he added. “I have no less than 20 Medals of Valor. I deserve a spot promotion under R.A. 8551. The law says that it has a retroactive effect. Every Medal of Valor is equivalent to a one rank higher promotion. I am now a Police Superintendent, with at least five (5) Medals of Valor as mentioned by then Sec. Robredo,” he said. “At least my rank would be Police Director General or, at the very least, Police Deputy Director,” he added. Moreover, Dy also clarified that as of the 2nd quarter of 2014 he had formally and personally received his appointment order as Police Deputy Director General from the Office of the Regional Personnel, Resources and Management Division of the National Capital Regional Office. In the Motion for Reconsideration that he filed, Dy emphasized that his failure to report in in Region VIII was based on good faith. “I based my decision upon the official letter of then Sec. Robredo who had formally addressed me as Police Director General,” he added. “I am of the belief that the dismissal order which is the subject of my motion for reconsideration is merely a form of harassment. I have with me all the records and recommendations for my promotions. Everything is barcoded, reviewed and endorsed by all concerned officers. What I am just waiting for is the implementation by the President, he said further. “Perhaps, due to the meteoric rise in my promotion, some officers were sidestepped or overtaken by me in terms of rank. But, there is nothing wrong with my promotions since everything is the product of my very dedicated service to the organization,” he lamented. “The Medal of Valor is a priority for any kind of promotion. My case is probably the first time in the promotional history of the institution,” he said. Finally, Dy Jr., said he sincerely wants this report to reach the Office of President Rodrigo Roa Duterte, who, he claims, knows him very well. ”I was assigned in Davao City and worked well with him,” he said. “I am very much aware that President Duterte is a very fair person. He knows that I have worked hard for the good of the country. That is the main reason why I was awarded several Medals of Valor. My only wish is for the President to take notice of this issue. I have dedicated more than twenty years of devoted service to our country which has afforded me the opportunity of earning said Medals of Valor,” he said. “I sincerely hope for justice to be served on top of these controversies hounding my special promotion,” he concluded. Dy, Jr. is the son of former Libmanan Vice Mayor Blesilda Castaneda-Dy, who said she is also lost in the dark why her son met such fate. Mrs. Dy said that like her son, she prays that a thorough investigation will be conducted into the issue.